The town of Jhaggar, following its annexation by the East India Company in 1803, was granted to Nawab Nijabat Khan, a leader of freelances. His grandfather Mustafa Khan was a Barech Pashtun from the area around Kandahar. 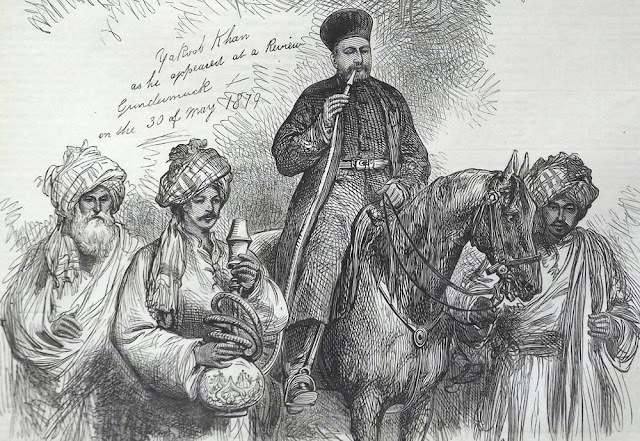 He came to India in Emperor Muhammad Shah's reign and formed a band of Pashtun freelances. Nijabat Khan became leader of these Pashtun freelances after death of his father Murtaza Khan. He received the title of Nawab from Emperor Shah Alam for his various services. When war between British and Marathas broke out in 1803, he chose the former side and received Jhajjar as jagir for his military services. 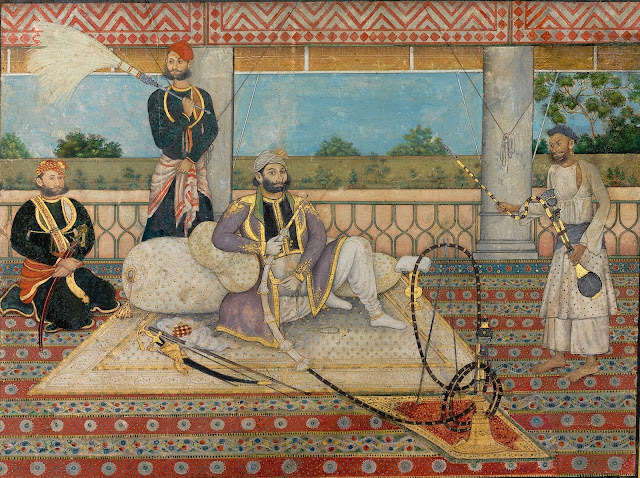 His family, including Abd al-Rahman Khan, ruled it until 1857 (just after the present work was painted). For participation in the 1857 mutiny, Nawab Abd al-Rahman was executed on 23rd December in front of Red fort of Delhi and his body was thrown into a nameless pit. His estates were confiscated by British.